Chelsea forward Eden Hazard’s future has been at the club has been in doubt since last summer when he announced his wish to play for Real Madrid. The move did not materialize but the Belgium international has so far refused to sign the new contract on the table to keep him at Chelsea beyond 2020. His current deal ends summer next year, and he could walk for a cut-price fee, should he decide to move to the Santiago Bernabeu after this season. After toying with Chelsea fans the entire campaign about where he will play his football next term, Hazard said in an interview this week that he knows where his future lies but will not announce yet. 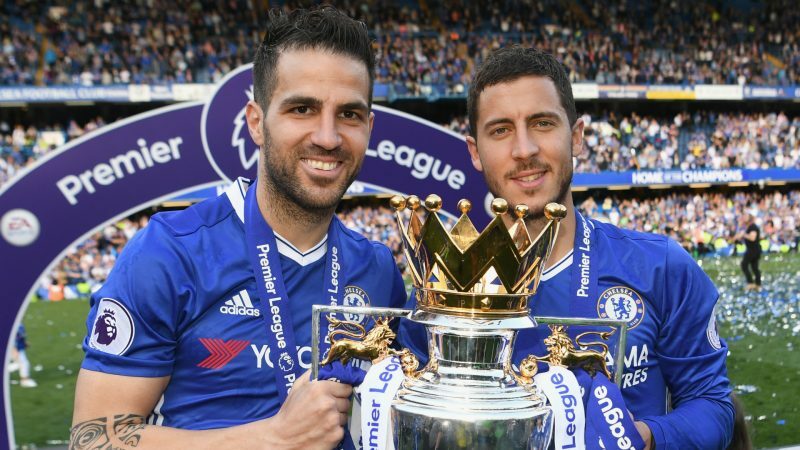 Reports have said he is on his way to Real Madrid but former teammate Cesc Fabregas who only left the club in January to AS Monaco reveals if Hazard has made a decision on his future, then it is to stay at the Stamford Bridge club.